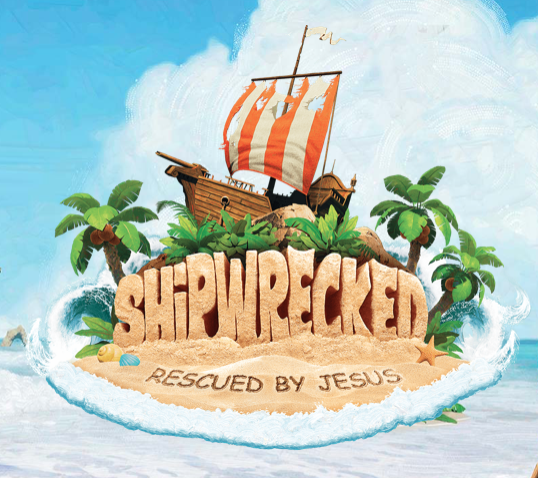 “Shipwrecked”, a VBS curriculum produced by Group Publishing, is all about helping kids understand that Jesus is able to rescue them. Whether it is from loneliness, worry, sin, struggle, or powerlessness, Jesus is able to rescue us from many different trials. Each day of the VBS covers one of these subjects, and the list below includes some more songs based on these themes, to keep your playlist fresh and relevant all week long. Is your church hosting the Shipwrecked Vacation Bible School this year? What songs do kids seem to really connect with from the curriculum or from here on KidTunz? The great hymn, “What a Friend We Have in Jesus” depicts a rich understanding of God forged through times of loss and loneliness. The hymn’s lyricist was a native of Dublin, Ireland, a man named Joseph Scriven (1820-1886). This is part of his story. After graduating from Trinity College, he greatly anticipated the day that he and his long-time love would be married. She was his childhood sweetheart, and all of the wedding preparations were made. The day before the wedding, however, tragedy struck. While riding to meet him, the young woman’s horse was startled by something, throwing the her into the river nearby. The impact knocked her unconscious and she drowned shortly before Joseph arrived to meet her. After this tragic loss, Joseph was troubled by the sight of his home in Ireland, and soon left for Ontario, Canada where he spent the rest of his days in Port Hope. He devoted himself to good works and to caring for others in the village, being known as someone that never turned away those in need that could not repay him. Eventually, he began tutoring the children of a man in town, and in the process, fell in love with the man’s niece, Eliza. The two planned to be married in 1854, but shortly before, Eliza fell sick with pneumonia, passing away at the age of 23. Once again tragedy invaded Joseph Scriven’s life, as the hoped-for marriage day never came. Throughout the struggles and loss of his life, Scriven continued to find solace in the nearness of God, whom he described as his closest friend. It is unclear as to when the lyrics he penned were put to music, as he initially sent them in a letter to his mother, intending that they be seen only by her. His words remind us that though life is challenging and often painful, we have someone with us that is a dearer friend than any human ever could be, sustaining us and remaining close to us through it all. Remembering his story can give us and the children in our lives faith to persevere and to serve others in need in every season. Hopefully you’ve checked out our recently released PDF child development guide which we created to make it easy for parents and teachers to understand kids’ levels of learning, from 3 years-old to 11-years old. Below you’ll find songs we compiled specifically for fifth graders according to the characteristics on the PDF guide above. They are a bit more figurative in nature and tend to have more complicated melody lines to keep kids engaged and singing along. If you sample these and want to buy the ThemePak, you can check it out here! Power up! (clap, clap) Jesus helps you. Power up! (clap, clap) Get in shape God’s way. What will others hear when they look your way? It seems a whole lot easier to speak it than to do. Lord Jesus, make me kind like You. You cared for others; that’s the thing I’ll do. I will lead the way. I’ll care today. Let my love point to You. I will look for ways to serve, to build bridges strong with love. That God is ev’rywhere—His love extends to all. Though we come from many places and are diff’rent we’re the same. For love in any language is Jesus’ name. God helps people just like you and me. He gives us what we need to live. Build your life according to code. Learn God’s Word and hammer it home. Build a life of character the way that Jesus showed us to do. O Lord, You know my name. I hear you calling me to follow You. Welcome to a work in progress. You’ve enterd a construction zone. We’re building on a firm foundation, but not with brick and stone. Jesus is the model of perfection. His plans for us are divine. Jesus died, but He’s alive again. I can tell others that Jesus lives. We need Your power, O great God. Hear us, we cry out, mighty God. How do you create lessons to specifically teach fifth graders? Below you’ll find the individual songs from the Theme Pak comprised entirely of songs for 3rd and 4th graders! These songs are ones we thought matched their development characteristics in terms of what they understand and how they relate to others. God gave me my church so I could see how to love people other than me. Just like Jesus, I wanna be. Just like Jesus, I wanna be. God sees all that you are going through. God sees, and He will take care of you. Don’t be swayed by what you see. We can ride our fears like a bucking bronco. God’s power helps us hold on. Take a stand. Take a stand for God. Take a stand. Tell others that Jesus lives. God is in control. He is with me wherever I go. Aaron and Hur held Moses’ hands up high. The battle was turned with their help. Deborah the judge was known by all to be wise and when it came to a fight, she didn’t run away afraid. He is always with us. He will always love us. What do you think is unique about 3rd and 4th graders you’ve worked with compared to younger or older kids? Hopefully you’ve checked out our recently released PDF child development guide which we created to make it easy for parents and teachers to understand kids’ levels of learning, from 3 years-old to 11-years old. Kids go through many stages of development, and understanding their ability to understand certain concepts throughout those stages can ensure that they don’t just repeat the music they sing but really understand it! We’ve created a Theme Pak just for 1st and 2nd Graders, filled with songs that are tailored to their development characteristics as listed in the PDF above. And to give you a way to preview all of the songs before you buy the album, we’ve listen samples below with some lyrics. Love the Lord with all your heart. Love the Lord with all your soul. Love the Lord with all your mind. Love the Lord with all your strength. We can show our love for God ev’ryday. Make it clearly seen in what we do and say. These feet* are gonna follow. These feet are gonna go. These feet are gonna follow. I will follow Jesus wherever He leads. Fishing all day; fishing all night. Never caught a thing; never got a bite. God gave my family to always care for me, to always share with me, to be there for me. Jesus did good things to show us God’s plan. He came to help us and bring hope to man. Reaching us and teaching us, with love that comes from Him. Jesus, You are a servant. Jesus, make me a servant too. I give up my selfish ways to follow You all my days. O Lord, make me a servant just like You. I praise You because You made me; I am special to You. Jesus, Jesus cares for everyone. Jesus knows me and He loves me. Jesus, I will thank You as I pray. Jesus, I will love You every day. What have you found helpful in teaching 1st and 2nd graders? Hopefully you’ve checked out our recent PDF child development guide which we created to make it easy for parents and teachers to understand kids’ levels of learning, from 3 years-old to 11-years old. We created it so you can be sure that the music you sing with them is really sure to stick. To make the process a bit easier, we have compiled albums specific to each age group! We chose the songs below because they each match the developmental characteristics of kids ages 3-6. Pre-schoolers and kindergarteners see the world in very black and white terms, so they don’t always understand the metaphorical or figurative language in most praise and worship songs. Because of this, below you’ll find songs that are all focused on very concrete subjects, like picking up toys, animals and birds, saying thank you and actions that show others love. These simple songs will provide lay a solid foundation for discipleship further down the road. If you listen to the individual songs below and want the whole theme pack, you can find it here! Let’s pick up all the toys, pick up all the toys, pick up all the toys. Let’s pick up all the toys. Who will be my helper? I’m gonna walk,* walk, walk with Jesus. I’m gonna walk,* walk, walk with my Lord. I’m gonna walk* everyday as I follow Him and pray. I’m gonna walk,* gonna walk* with Him. God made the day and night. God made the land and sky. God made plants and animals, too. God made me and you…. I am bringing you some good news, good news, some good news. I am bringing you some good news. Today your Savior was born…. Obey, obey your parents. This is the right thing to do. Give thanks to the Lord and pray to Him. Our God helps us ev’ry day. We can thank Him when we pray. We’re all in this together, God’s great big family. Happy are those who are fair and do what is right! When we obey God, He blesses us both day and night. Yah way, oh way yah, yah way a oh, way oh. Yahzos, yah way oh. Yah way oh yah way oh. I will show others love just like the Lord loves me. Jesus help me show love so others see you through me. How do you tailor your lessons to match the age group of students you’re teaching? A few weeks ago, I was at a five-day conference, working with the children aged six months to 3 years old. As the parents were in sessions, my colleagues and I would spend time with the six or so children, finding activities and games for them to play throughout the day and evening. By the fourth day, the children had grown accustomed to the room and toys, and in order to keep things fresh, I began thinking of new games for us to play together. My experience with children was largely just with elementary-aged kids, which are more developmentally advanced than the toddlers, and so I wasn’t quite sure where the children would be in regards to what games they could play. I quickly learned a difference between the two age groups after gathering them together for a round of the classic game, Duck-Duck-Goose. I got some blank stares while explaining the rules to the three-year-olds and quickly decided to demonstrate instead of just tell. After showing them a couple of examples, I realized that even demonstrating did not connect the dots, as one three-year-old kind of patted a couple of heads and then began running circles, around and around, as quickly as he could. Perhaps at some point you have encountered a moment where your expectations of kids’ ability was different than what was actually the case. Maybe you chose an activity that was too easy or a game that was just too hard (whoops). The consequences might not be as obvious, but choosing music that does not match a child’s developmental abilities prevents them from really understanding what they are singing, though they might be able to recite the words. Maybe you’ve had the common experience of hearing a kid sing a song with inappropriate words and upon asking them what the song means, they reply that they really don’t know–they just like it. The same scenario can occur when you are seeking to teach kids songs with words you do want them to take to heart, such as songs about Jesus or lessons from the Bible. Reciting the words is different from understanding, and knowing where the kids you care about are in terms of mental development can go a long ways in discipling them on their level. It can be hard to keep track of each age group, so I created a quick reference guide for you to download and use as you plan lessons and music for Sunday School or just hanging at home. It includes key characteristics of each age group, so you can tailor your lessons to speak right to where the kids are. Have you ever planned a lesson that just didn’t hit home with the kids you were teaching? How did you respond? Not sure where to go from here? We created albums specific to each age group to get you started! There is something wonderful about how the classic Christmas songs can provide a festive soundtrack to the season’s memories. We’ve compiled a list of Christmas KidTunz songs to add to these classics, so the kids have songs made just for them! This month, we have been partnering with LaDonna Greiner, founder of the Gratitude is Great movement and appreciation-card company, 21 Reasons to Say Thank You. Before Thanksgiving, she shared insight into how to create a low-pressure atmosphere when sharing thanks with friends and family during the holiday meal. Today this series continues with her insight into how to cultivate gratitude all throughout the year, through what she calls a Gratitude Jar. Here in the Midwest, the leaves have mostly fallen from the trees, and winter inches closer with each passing day. Thanksgiving has come and gone with its festivities, and now families are preparing for Christmas and the year’s end. Think back over this year. There were probably both great and grueling days. Moments when you may have thought you would buckle under the chaos of the little ones in your life, and moments when you would simply gaze at them in wonder that they are yours–maybe even in the same day. There were probably moments of pain sometimes coexisting with moments of great joy. And each of these moments forms together to create the year 2017, another year completed. It’s so easy to forget. Our minds can only hold so much, and often, our memories can be faulty in even the things we do remember. LaDonna talks about an idea that not only cultivates a grateful mindset but can also serve as a reminder for the tiny, fleeting but precious moments that our minds don’t always have the capacity to retain. She recommends creating a family Gratitude Jar, which is simply that: a jar to hold slips of paper that contain good things from throughout the year. It can be a daily or weekly practice, where each family member writes a phrase, memory or even a word to remember something good with the date. It could be something as extravagant as a family vacation or something as every day as reading your daughter’s favorite story again, surrounded by Christmas lights on the couch. Refrain from asking family members to read the slips out loud to everyone, as that may prohibit some from wanting to participate. At the end of the year, everyone will have the opportunity to read and share what good things they wanted to remember from the year. Framing thanks in this way can cultivate a grateful mindset, as well as help children develop stronger empathy–or at least, to hear what it means to consider others’ perspectives if they are still very young. The container can be a jar or box, and the children can decorate it to really make it their own. Whether you start a jar or utilize other means of practicing gratitude, as 2017 comes to a close, I hope your awareness of the good things in your life sharpens because there is truly much to be thankful for. Throughout the month of November, we’re partnering with speaker and gratitude guru, LaDonna Greiner of 21 Reasons to Say Thank You and LG Consulting, to delve into what it really means to live with a sense of gratitude at Thanksgiving and throughout the year. Maybe it’s a familiar scene. You’re about to stuff the first bite of a freshly baked roll into your mouth after smelling scents from the kitchen all day. You break it apart, perfect steam wafting. You freeze, mid-bite, narrowing your eyes slightly at the enthusiastic family member. They mean well, you remind yourself, dropping the roll to the plate. Each family member takes a turn, some nodding in appreciation of the sentimental moment, others anxiously tapping their fingers on the table trying to think of something to say that seems semi-meaningful. Bring gratitude into Thanksgiving festivities in a more natural, spontaneous way. Perhaps thoughts on a family vacation or a funny memory from the summer could spark additional memories about the good things that have occurred. The adults can share in turn if they desire to do so, and maybe upon hearing all of the stories, some of the kids will want to chime in, too, about things they have liked throughout the year. LaDonna mentions that this more natural, spontaneous way of giving thanks creates a low-pressure environment that still teaches the value of gratitude. The goal is not necessarily for every person to say something, but simply to focus each person’s thoughts on gratefulness. Even if a child or family member prefers to stay quiet, they are most likely still thinking of good things, which is still incredibly meaningful. When put on the spot to say something, it can be easy just to say the first thing that comes to mind, without truly thinking it through. Throughout Thanksgiving and the rest of the holiday season, one additional way to cultivate a practice of gratitude is to ask the kids in your life a different question than the typical, “What are you thankful for?” This question lends itself to abstract things such as “family” or “beauty”, which are good, but tend to stop the train of thought. Reframing the question to, “What have you liked about this year?” still explores the avenues of thankfulness, but in more concrete terms. Perhaps a child liked being on their soccer team or a drawing the made in art class, for example. It trains them to be thankful for specific things that are rooted in their day-to-day lives, which helps to create a habit of gratitude. How do you teach the kids in your life the value of thankfulness? The holidays are a time that can invoke a full range of emotions, from sheer happiness, to loneliness and grief, to hopefulness and contentment. The days ebb and flow from moments of reflection to days of endless busy-ness, and by January, some can feel like they need a holiday of their own to simply stop and take a breath. You should be content with what you have, but you also have reason to want more. Holidays are about spending time with those you love, but you will need to create the perfect setting for nice memories to occur. What? And these are just a couple of examples of the conflicting or contrary messages we receive every day. If you pay attention, they are everywhere. No wonder we are worn out. Holiday ideas, tips, advice, traditions, expectations, etc. can be amazing, creativity-sparking and inspiring. And they can also bring about a lot of unnecessary shame or pressure to be something that is unrealistic. What is actually important to my family during each holiday? What activities or expectations am I holding onto unnecessarily in light of that? What tradition(s) have real value to us in meaning (with the community or history) or memories? What voices have been influencing me, and do I really want to give them that authority? How might I partner with another family or friends to shoulder some of the responsibilities/tasks together? “Show me your friends and I’ll show you your future,” one of my daughters told me. “Where’d you hear that?,” I asked. “That’s good stuff,” I said as I handed her a granola bar. “Yep!” She ran up the stairs. Our daughter was just entering Junior High and the idea of choosing friends wisely began to take on a whole new meaning…for her AND for the parents. Part of me wanted to isolate her from any potential “bad” influences while the other side of me said that they must learn to grow wisely even in adverse circumstances. One thing I did discover is that music goes a long way in shaping a child’s heart and mind. Here are some songs that will help your children think about the kinds of friends they choose. “…Find a hand and shake it! Find a back and pat it! Find a pal and hug ‘em real big. God gives us many good friends. “Friends are a gift from God who loves us. Friends are a gift from God who cares. Friends help us when we’re down; they turn our frowns around. “Jesus is my best friend. I love Him, and He loves me. Jesus is my best friend. I love Him, and He loves me. God gives us friends to love us and help us. “Everybody wants to hang with friends_to be cool. But it ain’t always hip to keep the golden rule. So, be aware be alert_don’t be no fool. Bad company will make you break every rule. “What kind of friend do you want to be? What is it others will say? Do you give more than what you expect in return or does it always have to be your way? Make me a friend like Barnabas, encouraging, faithful and true. We sat at our metal desks, staring at our teacher, blinking. “So? What crackpot ideas do you have for me today?” She asked with expectation. It was our first Friday in her communication arts class; our sixth grade selves are unsure of how to respond. Even in public school, it wasn’t every day that a teacher used the word “crackpot” in class. Our blinks turned to nods—we got it. She was asking us for off-the-wall ideas that we thought might just work. Students began voicing their harebrained ideas, some feasible and some downright odd, stretching our young brains and creating space to dream. Ideas that might be lame or embarrassing in another context suddenly became acceptable, and we gave voice to things we may have otherwise considered not worth speaking aloud. Crackpot ideas became a part of our Friday routine. Throughout the week, my brain would take note of odd ideas and connections I saw throughout the week, saving them for the weekly exercise. Maybe, just maybe, one of them might work? For some reason, the memory of Crackpot Idea Fridays has stayed with me. We weren’t entrepreneurs looking for the next business model or artists trying to create their next best work. We weren’t even brainstorming for an assignment or trying to solve a problem. At the end of each session, we didn’t act on the ideas, and to my knowledge, the teacher never did end up creating those trading cards. So was it a waste of time? No, not at all. Those times were opportunities to ideate and be creative just for creativity’s sake, unselfconsciously spouting off odd connections and combinations of ideas and objects, on the off-chance that one might work, whatever that would mean. It was a time to exercise different mental muscles besides those we used for tests, memorization or writing. There was no right answer, no measure to uphold. No preconceived structure or expectations; just space to let our minds wander new paths of thinking. Measures and tests and structured learning have their place, but opportunities to participate in unfettered creativity infuse these things with new life. They give kids opportunities to practice seeing new connections between everyday things, and these new connections are what drive creative expression and innovation. The concept of neuroplasticity can speak to why this ability to identify connections between disparate things is so useful. Sarah Bernard of Edutopia and the George Lucas Education Foundation, explains that “if you perform a task or recall some information that causes different neurons to fire in concert, it strengthens the connections between those cells.” As these networks of neurons become stronger, they become more efficient and thereby more capable of identifying relationships between varying subjects. These relationships then increase the brain’s memory storage capacity, increasing a kids’ ability to retain and apply what they learn. Looking back, I’m not entirely sure of the motivation or end-goal behind the weekly Crackpot Idea time. But as I speculate on this memory that remains so vivid, it seems to have provided a free place to practice what it means to think beyond our brains’ routine “networks” and patterns, which as demonstrated above, played a part in laying a solid foundation for creative learning. And crackpot ideas or not, discovering novel connections between everyday things just seems to make life that much more wonder-full. Fall is a great time of year. School is in session in the US. Children and their families are finishing their summer travels. New people are moving to your area. It is a time of growth for your church, but it can also be a pinch for children’s ministry leaders. More people attending means the need for more volunteers. When faced with a need for more volunteers, the first thought is to recruit. Before you put effort into recruiting, take a look at how you can expand the volunteer base you have. It may surprise you at the opportunities you find. twice a month, could they serve weekly? An increase of 50% goes a long way. Look for complementary volunteer roles that one volunteer could fill. Example: Have parents drop kids off in their small group or class area. This way teachers can greet parents or greeters can serve as security during the service. Create leadership positions in your ministry. Give seasoned volunteers new roles. Have them recruit, train, and minister to the new volunteers. Allow your leadership to help you can expand the volunteer base in a more organic way. Ask infrequent volunteers to dedicate a season (3-9 months) of consistent service. Having a definite end point will be encouraging to volunteers. Most like it so much they continue to serve even when the season is over. By connecting with these volunteers and asking them. Nothing fancy. You get to know the volunteer and ask why they serve in the pattern they serve. Many will have good reasons. Their spouse serves in another ministry who kept a similar schedule. Or they travel a lot and can only commit to that much. But many would say this is how they always served. No one asked them to do more. Of people serving in 2014, 41% did so because someone in the organization asked them. Volunteers who already understand your vision will welcome another chance to serve. Sometimes all they need is for you to give them the opportunity. In the Ministry Accelerator community, we discuss ministry design, best practices, digital tools and volunteers. Join us today. Email [email protected] and put “I want to join” in the subject line. Music can serve as a lifelong discipleship tool. Research demonstrates that musical training can increase children’s working memory capacity. And the repetition, rhyme and rhythm of songs combined with the brain’s plasticity during childhood can cause songs to stay with children long into adulthood. The ways people use and access music have shifted with the increasing availability of music online, including how people incorporate music into the church. Below is an interview with composer John Morton, who has written, produced and published hundreds of children’s songs for curricula for companies such as Standard Publishing and Group Publishing. He is also the co-founder of the nonprofit, EduCAN Development Corporation, and has been invited to various countries throughout East Africa to train teachers in child development. We sat down to discuss the music trends he’s observed over the years and how children’s ministry leaders can use music to effectively teach children biblical principles. A: What are some shifts or trends you have observed in how children’s church leaders use music? One thing I’ve observed is that there is no longer a common set of songs that children know and sing across many different churches and regions. You can’t assume children know particular songs now because there are so many for leaders to choose from, as well as so many more ways to find songs than in the past. Another would be an increase in leaders using adult worship songs in kids’ ministry services. Leaders do have more songs to choose from this way, but adult songs can be less effective in terms of discipleship, since so many of them contain a lot of metaphors and abstract concepts that children do not yet have the cognitive ability to understand. A: Oh, I hadn’t considered that. So, how would kids’ comprehension of songs be different between preschool and elementary school? In preschool, children are not able to understand abstract ideas, so it is important to sing songs that include very concrete and literal language. The songs should include repetition, easy melodies and simple lyrics that connect children with sensory details of biblical stories. What did characters see or touch? The kids may be able to sing more complex tunes, but the key is to sing songs that they actually understand. Checking in by asking questions about what they think a song is about is a good way to measure whether it’s a good fit for them. Kids begin to understand more abstract concepts at around the ages of seven or eight , but there is still a large gap between early elementary and late elementary in terms of cognitive development. In early elementary, simpler songs are still the best way to engage the children, but as they get older, children develop a wider vocal range and more complex vocabulary, and can therefore sing songs with more complexity in terms of structure, melody and content. Just like speaking and reading, singing can provide children with opportunities to develop their language abilities, as they interact with teachers and peers and use words to communicate meaning. It’s not as common as it used to be in churches, but using simple rhythm instruments during worship or class time can further engage the children as well. They can keep time with woodblocks, rhythm sticks, or instruments of their own making, keeping their minds, mouths and hands fully engaged throughout the songs. A: Early middle school is sometimes considered to be part of children’s ministry; would music change much between late elementary and middle school? In early middle school, kids begin to exert more independence, entering the more “grown up phase.” They may not be as enthusiastic about the sillier songs as they were before and it is important for leaders to consider the fact that young boys’ voices are changing when they choose a song’s key. By middle school, the students can begin worshipping Jesus from their own hearts, so leaders could even ask them for input as to what songs they would like to sing. A: How do you think children’s ministry leaders can help teach kids what it means to worship Jesus from their own hearts? When teaching children how to worship, it is most important to convey what worship i s , and not necessarily what it is “supposed” to look like . Worship is ascribing worth to God, and it can take many forms. Children may have ways that they like to worship God that might look different than adults. Allowing them freedom to express what is in their hearts for God in their kid-like ways teaches them about having a heart for God and not necessarily just doing church-like things. Modeling life with Jesus is very important, as is living in community. It is important to keep in mind, though, that discipleship is not about enculturating kids or showing them how to simply fit-in with the rest of the church-goers. It is about teaching them who God is, what he has done for them and what it means to have a relationship with him, which includes expressing their hearts in worship. A: Any last parting thoughts? Just one thing. Worship styles come and go, but the fact that music enables kids to memorize principles and verses will stay the same. The heart of worship stays the same. The purpose of kids’ church is to train children to know and love Jesus, and that is the most important thing. I sat scratching at the mud covering my leg, trying not to let the tears leave my eyelids and become visible to my friends nearby. They were my favorite khakis. “Fit?” “Doesn’t Fit.” Next one. “Fit?” “Doesn’t fit.” Crying now. That day, I had been chasing a classmate around the playground and had jumped over a balance beam to cut them off. Not having gained enough inertia, my foot caught on the beam. In the next second, my knee stopped the fall in the muddy earth, with face and hands close behind. My new khakis–ruined, from hem to knee cap on the left leg. Lip trembling, I stood up, trying to keep a brave face. The rest of the day, I gazed down at the muddy leg, each time hoping I would see the pristine khakis there instead. Whether it is never being able to find jeans that fit to having a hard time finding a place to fit-in, as kids navigate the challenges of a new school year, it can be helpful for them to know that they are not alone. They have Jesus, friends and family (biological, adopted or church family!) that care about them. Singing songs together can build unity, as families and friends remember ideas and lyrics that bring back memories. As the children in your life go back to school, we’ve created this list of songs to help bring back a little joy for the days when things just don’t go like they had hoped or planned. When I think of a friend, I think of you. God gives us many good friends. God gave my family to always help me see how to live my life. I should be like Jesus more and more each day, so I’ll ask my family to help me know the way. You can talk to God when life gets tough. You can talk to God when the going’s rough. You can talk to God, for he is enough. He is near, just call His name. Growing together under His care, knowing this fam’ly will always be there. Snuggling safely under His wing, He gives us courage to do anything. Growing together just you and me. We are a part of God’s great, big family. Whatever this year brings, I hope these songs will remind your kids that they are loved, valuable and heard–even when they come home in ruined khaki pants. Gone are the days of asking your next-door neighbor for a cup of sugar, but nevertheless, putting in the effort to reach out to your neighbors can create a greater sense of well-being. Neighbors are close in proximity and can serve as a great support system, offering a variety of skill sets and perspectives. Perhaps you can trade your car repair skills for a neighbor’s reupholstery abilities, for example, cutting costs for both families. You and your trusted neighborly friends can watch one another’s kids in an emergency or after school. Your children can learn about other families’ holiday traditions and you can share your own traditions, too. Perhaps a child in your life tends to get stage fright before school or church plays; chances are, one or two of their friends tend to get nervous as well. Instead of simply encouraging your child to muster up the courage on their own, you can bring in their nervous friends to show the kids how they can work together to be brave. Reach out to the children’s parents and invite them to a “dress rehearsal dinner” at your home, to share a meal and watch the children perform their lines or songs before the big event. This will enable them to practice in an encouraging environment and create space for the kids to share their fears with one another and commit to standing together in the performance. They can talk about how they might be able to help each other if one gets scared or forgets their lines. This will teach the children how to be brave and also to connect with the people around them, as you connect with the parents as well. Who knows—it might even become a tradition worth keeping! This is a musical lemonade stand for social good! If your kids and/or neighbor children enjoy singing or playing instruments, show them how to use their talents for others’ benefit by hosting a tiny concert in the yard, with lemonade sales to raise money/change for a cause they care about. The “stage” can simply be a couple of chairs or perhaps the front steps or porch of the house. You can print off simple advertisements to post around the neighborhood with the kids or use social media to reach out to your neighbors if you’re connected with them online. On the day of the tiny “event”, the kids can set up the table for hot chocolate or lemonade and then play their favorite songs. You can encourage the kids to reach out to the neighbors that come by, with your supervision. At the end of the allotted time, you can count the donations raised through the kids’ musical venture, and then send a follow up to the neighborhood and celebrate their willingness to serve. The American Psychological Association cites Dr. Daniel J. Levitin’s research which says that listening to and playing music increases antibody production in the body’s immune system, as well as decreases the stress hormone, cortisol. Children face a variety of stressors as they grow up and music can be a healthy means of stress relief, providing them with a fun and relaxing way to cope with life’s challenges. Though disciplined practice definitely has a valuable place, music can also be a form of play for children as they simply play music for the fun of it. One way to reach out to your neighborhood is to invite a few neighbor friends over to join the musical club once a week or month with their kazoos, guitars, recorders, keyboards or other instruments to sit and play together. The music they create might not sound pleasant, but it will give the kids an opportunity to practice playing and creating together as a team. You can help them obtain the chords to a favorite song to learn together or show them the basics of how to improvise on the spot. Children that might not have other exposure to music can learn along with the others in a low-pressure environment, much like the porch-pickers of years past. If they spend their childhood practicing music consistently with friends, who knows what they could create as they get older? You can also invite the children’s parents to a periodic “concert” to showcase the kids’ creations or even invite them to participate in the club themselves, if they are musicians, composers or vocalists. It can be as organized or simple as fits with your current season, being just an hour on the porch once a week or something more elaborate. What challenges have you faced in reaching out to your neighbors? When is a time when someone has reached out to your family? How did your family interact with neighbors growing up and what was the effect of that interaction/lack of interaction? In LifeWay’s 2018 VBS, Game On! kids learn how to “gear up for God’s big game”! Be brave! Be strong! The Lord your God is with you. Put faith in Him! There’s nothing He can’t do. God walks with you like a mighty warrior. He surrounds you with His favor like a shield. He has put you here for such a time as this. Now trust Him ‘til His plan is revealed. Do the spiritual stretch. Reach for the prize. Jump at the chance to exercise. Sit up. Push up. Lift up. Pull up. Don’t give up. You’re cross training for life; cross training for life. “Power up! (clap, clap) Jesus helps you. One! Two! He’ll make you a powerhouse for Him. Firm believers, standing strong on faith. To build up those muscles of spirituality. Firm believers, that’s what we wanna be. Training to be more like Chirst. So others will see Jesus in our lives. God is in control. He is strong and powerful. He will help me, I know. God knows how to help me. I believe in Him. He is kind to hear me and give me faith to win. Is your joy bubbling up? * Clap your hands, sing about Jesus. Is your joy bubbling up? * Tell the world about His love. Tell the world that Jesus cares! LifeWay’s Game On! VBS is a great way to integrate discipleship with exercise and activity, training both body and mind. I hope these additional songs contribute to your church’s VBS week and to the ongoing process of training the kids to love and know Jesus with every aspect of their lives. How do you incorporate music into Vacation Bible School? What have you found effective in helping kids remember and understand VBS songs? Children’s choirs can have impact beyond just the performances for which they practice. Choir directors and those that teach kids music through their lessons or service time at church influence children’s lives in ways that extend beyond children’s church and into the future. Here are a few things I took away from growing up in church choirs. What would you add? One day while sitting in 7th grade geography class, I remember my classmates staring as bearded, biker-looking Mr. Smith (name changed) intensely questioned my faith beliefs and why I chose to believe in Jesus. After taking ownership of my relationship with Jesus the year prior, these faith discussions had become relatively usual in my public school setting. In light of those sometimes-intense moments, choir practice on Sunday mornings became a time of reprieve, where I was able to set the defenses aside and be in a setting that didn’t require them. It was an opportunity to sing songs alongside a few friends, working together toward a common goal. And though I wasn’t aware of it at the time, the consistency of seeing these friends week to week provided support to thrive at public school. We sang together and went on choir tour trips, where we would sing and serve in other communities, creating opportunities to go deeper in friendship and understand what it means to use our gifts for others’ benefit. Along with consistently providing opportunities to develop friendships, kids’ choir also created the opportunity for musical concepts to be cemented into our minds from an early age. We learned how to follow along to music sheets and anticipate melodies and harmonies by reading music. We learned vocal warm-ups and how to pronounce particular words for the best pitch and sound. We practiced singing in front of crowds of all sizes, reducing stage fright little by little by performing throughout the years. We practiced stage presence and how to convey the feeling of songs through facial expressions to engage audiences. We practiced blending our voices with those around us, to ensure that the sound was cohesive and that no one person’s was heard above the rest. We learned teamwork as we picked up on parts we didn’t quite have memorized yet by listening to those next to us, practicing the part until we had it down. We learned the basic building blocks of creative, musical expression which we could build upon in the future and use to express meaning to others. Though, to my knowledge, few of the people from those choir days have chosen to become professional musicians, the skills we developed throughout our years of practice still prove valuable, in public speaking, in laying the groundwork for working with others, in different means of creative expression. Those are valuable throughout many areas of life. Walking the halls at school, often times I would rehearse my parts from choir in my head, while also unintentionally rehearsing the truths the songs contained. Even today, many of those songs are ingrained in my mind, and as I have grown, the words have taken on new depth and meaning. For example, a re-make of the hymn “Nothing But the Blood” has continually stuck with me since we learned it in junior high choir, continually resonating in different ways as the seasons have brought deeper understanding of grace and how Jesus’ death and life provide the means of healing and righteousness as we walk with him. It has brought comfort to my soul many times. And as you rehearse songs with the children and students, it creates opportunity for the Holy Spirit to use those truths down the road by bringing them to mind and revealing different aspects of who he is. Not all churches have choirs of any kind as worship styles have changed, but even simply bringing children together to sing and practice their musical skills can enable musical members of the church to use their gifts for the next generation, while also instilling additional skills into the children’s repertoire at an early age. Choir can also provide musical opportunities to children that may not be able to afford private instrument or vocal lessons. Choirs and teaching kids musical skills don’t have to be huge productions, but can be once a week, once a month or even once a quarter, depending on the resources and people available. Whatever it looks like, in a time when consuming often usurps creativity and critical thinking, being intentional about making space to develop these skills becomes even more valuable. Did you grow up in children’s choir or other musical groups? Now that you’re a few years down the road, how did it affect you? Have you decided to teach your kids music? Sarah Moore is a producer, composer and vocalist based out of Orlando, Florida. She has written over 500 songs, composing for companies such as Music Precedent, Strang Communications/Charisma Life Publishers, Integrity Music, The American Bible Society, Gospel Publishing House, and Radiant Music. She’s worked as the vocal contractor and director for Walt Disney World and as the children’s choir director for the PBS show, “Dooley and Pals”. This week we checked in with Sarah and loved hearing about her composing, breaking into song with her sons, and what she’s been working on lately. How did you first begin writing songs? I guess I was always writing songs in my head, but I didn’t start writing them down until I was in college. My first songs were about breakups and relationships. Then, I wrote Contemporary Christian songs that I sang for the church. I didn’t start writing for children until after I had kids. How do you think your songwriting has changed over the years? This is an interesting and thought-provoking question. Specifically dealing with children’s music, many things stay the same…but I have noticed a trend towards more intricate rhythms which I love. When children around the world can sing the music from Disney movies word for word, with all the notes and difficult rhythms spot on…we need to up our game and give them something that excites them, even if there is also challenge involved. What is a creative way for a family or ministry to incorporate music into their day/service? I made up tons of songs to sing with my boys. We had a song to teach them their address, and a song we sang whenever we were going someplace in the car that incorporated our destination or who we were going to see. We still break into that one every once in a while just for grins. If you could give those who work with children one thing, what would it be? What is a project you’ve been working on these days? I’m creating a Spanish version of 5 Christian children’s songs I produced in English for a client last year. He put the songs on Youtube and has had so much international attention that he decided to have the songs translated and go back into the studio. We’re so thankful that Sarah has chosen to invest her musical ability and creativity into building up the next generation. Can’t wait to see what she’ll create next. For now, though, here are some of Sarah’s greatest KidTunz songs! “Firm believers, standing strong on faith. “Welcome to a work in progress. You’ve enterd a construction zone. “See God’s plan through history. Everything we do He sees. He empowers, acts and saves. He’s involved in our lives everyday. Come join the caravan. Travel to an ancient land. Patience, kindness, I want more of these. See her complete list of KidTunz songs here! It’s nearing the time of crisp notebooks, freshly sharpened pencils and all of the excited-wondering feelings of starting a new school year. As you are preparing the kids in your life for another new season, here are some songs to sing that will encourage them to be people of character in their relationships and work. How do you prepare the kids in your ministry or home for the start of another school year? What are some of their concerns and how do you address them? Ever heard that from one of your kids? 2) Work on math skills by keeping a plastic bag of beans in your purse. back yard ask your child if she sees any of these things. Creative thinking takes practice and these are just a few ways to incorporate thinking outside of the box into your everyday life. What do you find effective in teaching kids to be creative? What do you think hinders their creativity? As the end of summer draws near, your ministry may be scoping out next year’s VBS options such as Cokesbury’s Raging River Rampage. Cokesbury’s latest release “invites children on a white-water rafting adventure, to experience the ride of a lifetime with God!” Throughout the week, children engage with the idea that God is always with them through creative crafts, music, science experiments and fun recreation. If you’re considering this fabulous VBS for next summer, here are some more songs to add to the mix for different age groups! Session 1: Find Adventure on the River! During the first session, kids hear the story of when Jesus calls the disciples in Matthew 4. Session 2: Find Acceptance on the River! During the second session, the story of Jesus’ acceptance of Mary and Martha helps to teach the kids that they are accepted by God. Session 3: Find Joy on the River! The third session is all about Jesus going to Zacchaeus’s house and how we can find joy in Jesus. Session 4: Find Rest on the River! Children can accept Jesus’ invitation to rest in him as they learn about his last supper with the disciples before he was crucified. Session 5: Find Peace on the River! As the week ends with the last session, children leave with Jesus’ parting words to the disciples in Matt. 28: 16-20 and his promise of peace to all of those who choose to embark on the adventure of life with him. Have fun out on the raging river! We’ll talk to you soon! The Maker Fun Factory VBS is packed with creative lessons to teach kids that God built them for a purpose. Take a look at the trailer to catch a glimpse of it for yourself! The VBS kit comes with volunteer manuals, DVD’s, music and tons of other resources, but if you want to incorporate even more music into the week, we’ve compiled a list of 16 KidTunz songs that match each day’s theme to play during the pre-service, rotation transitions, craft time or other VBS moments! Have fun making and creating! We’ll talk to you soon! Communicating intentionally is a simple way that any ministry can work to expand their volunteer base. How we talk about things makes a difference, so here are a few things to keep in mind as you talk to individuals/couples/families about your search for fabulous ministry volunteers. Consider what the other person hears if you ask, “Do you want to help in the kids’ ministry?” When asked this vague question, individuals are left to fill in the blanks of what exactly you mean in terms of their role, time commitment, and other expectations. In light of the fact that many families in churches would consider themselves to live at a “busy” pace, ambiguity is likely to lead to a polite but quick “no”. Each of these questions/statements have clear expectations of the time commitment and also an end-date, giving people flexibility should they want to try it out for a set period of time. And as they try something simple, such as setting up chairs, they will be exposed to other roles that they may want to explore later on. The first question places pressure on the listener, as the ministry seems like it is falling apart, or is at the least stretched thin, and it seems that if they agree, they may be stretched thin, too. The second question, however, demonstrates that the ministry is outgrowing the current number of volunteers (a great problem!) because it is effective and thriving. And people want to be apart of things that work, where they know they will be helping build something meaningful that can outlast them. Even if you feel desperate for help, using that desperation as a selling point in recruiting volunteers doesn’t set an expectation of thriving for their time moving forward. Focus on what they will have the opportunity to invest in, not on how they will be depended upon to meet a certain need. When you ask people to invest in children’s ministry, you are advocating for the development of your church’s next generation. You are not wasting anyone’s time, nor are people doing you a favor when they volunteer. Because of these things, you have the ability to recruit volunteers and also to “fire” them, if they are not contributing to the building of the ministry. Sometimes people make mistakes, and it is important to be willing to coach people as they grow. However, the issue is when individuals are being divisive or view their volunteer work in the ministry as a major favor. Perhaps when you observe this behavior, you can help these individuals to find a ministry that will challenge and engage them at a deeper level. The kids are valuable, and when people volunteer to disciple them, those people are the ones that are laying the foundation for what the kids believe about who God is and who they are in light of him. That’s important enough to be choosy about who teaches them week-in and week-out. You teach Sunday school each week with the ministry’s vision in mind of training up young men and women in your neighborhood who are 1)sensitive to the Spirit and 2) love following Jesus and his Word. You know what you’re working toward and the part you play in the church because the other leaders talk about the goal and provide feedback to one another about what works as they move forward. You teach Sunday school each week and have somewhat of an idea of how you fit into the “Big C Church” picture, discipling kids, but tend to teach your class and leave. You talk to the other teachers, but there is not a particular ministry “vision” you’re working toward, no beginning or end to seasons, no measures to evaluate whether you are being effective or growing. Which ministry would you rather be a part of? When individuals volunteer, it is important that they know the role they play not just in their particular setting, but in the ministry’s big picture. Why does their work matter? What concrete difference does it make? And how can they maximize their work and gifts to be even more effective? Or summed up, how can volunteers grow as they help the children grow? Communicating specific effectiveness indicators in the ministry can build unity as kids’ ministry leaders work together toward a specific goal and can observe progress along the way. These indicators could be how often kids tell stories of praying for people during the week or times they knew Jesus spoke to them, memory verses learned, observations of how kids interact with each other in class or with their parents, etc. They don’t necessarily have to be numeric. They just need to be a few different areas in which leaders can observe and discuss progress together. Church members are saturated with messages about how they can spend their time. When you solely talk about need, you can’t expect people to see golden opportunity. The truth is, how you talk about the ministry will shape how people view it and whether or not they want to be involved. It is wonderful to pray for more volunteers, but it is also critical to lead the way in creating the kind of environment people want to be a part of. And sometimes, creating that environment that will attract solid volunteers simply begins with a few changes in your own communication. How do people talk about the children’s ministry at your church? How do you talk about it? How is this affecting your volunteer base? KidMin Science produces an exceptionally creative VBS called “Faith Lab” that is “science-inspired and Christ-focused”! The week’s curriculum tackles 5 subjects that are based on the word FAITH: Faith, Almighty, Influence, Temptation and Heaven, with a daily devotion and kid-friendly science project(s) for each. Faith Lab includes an album of music with songs that correspond to each devotion by Lantern Music, but if you want to add even more songs to the week’s activities, check out this list of 13 KidTunz songs specifically compiled to enrich “Faith Lab” lessons! Children start their life with a natural, innate curiosity. Think of how many times a two-or-three year old asks, “Why?” All those questions and experiences help make the connections in the brain that become the basis of knowledge for the rest of life. As children grow, though, their environment affects that curiosity. When they are encouraged to explore and try new things, the curiosity rockets onward laying down a rich web of brain connections. However, if curiosity is criticized, condemned, punished, or unstimulated, fewer brain connections form. Brain connections equate to knowledge, experience, critical thinking, worldview, self-image, etc. The richer the environment and opportunities the greater the depth of development. So how does one promote exploring and trying new things in children? Here are 5 easy ways to try. (1) Model the behavior you want to see in your child. If you want them to explore, then YOU explore. If you want them to try new things, then YOU try new things. This sounds simple, but it’s really the gatekeeper of your effectiveness. Your children WILL imitate you, so be what you want them to become. There’s really no other way around this. (2) Be a scaffold, not a guy wire. You’ve seen a tall radio tower. As the builders add section after section, they attach “guy wires.” Those wires help the tower grow taller and remain stable. What happens when the guy wires are taken away, however? The tower cannot stand on its own. By design, it relies on the guy wires. By contrast, when builders begin constructing a skyscraper, they create scaffolds to help add floor after floor. They supply the temporary support until the building can stand on its own. Eventually, the scaffolds come down, but the building remains. That’s nice in theory, but how do I scaffold my child’s development? Let them do things on their own. Challenge them to do things that are just a little beyond their ability. Stretch them. And when they accomplish it, tell them how proud you are of them making the effort. Be careful to praise the process NOT just the product. Praise them for trying, not just for succeeding. Remember, we have to try a lot more than we actually succeed. You want them to always be willing to try, regardless of the outcome. (3) Read, read, and read some more! Before your child learns to read, YOU read to them! Read to them every day. You will both love the time spent together. Go to the library and choose books together. A website or video reading a book to your child is better than nothing, but YOU reading to them is the best. Once they learn to read, support their efforts by supplying them with books. Get them their own library card or form a book cooperative with some friends where you trade books. Visit the used bookstore often. Books make great gifts and rewards. If you have older children, encourage them to read to younger siblings as well. There may even be a “big brother/big sister” reading program at their school where they read to younger students. Check into it. Suggest it. Reading promotes achievement in school—not just in language arts, but in math, science, social studies, and arts as well! Promoting reading at home is one of the best investments you can make in your children. Explorers are active. They move. They go outside. (5) Expect them to explore and try new things. Make that expectation the “norm” in life. Give them many chances. Don’t settle for less. Communicate your expectations in positive ways. “Wow, we ‘get’ to try new food from another country tonight!” Rather than, “You will try this or you’ll be punished.” Or “I know it looks gross, but do you want to try it?” Be positive and expect exploration. These are five ways you can promote that natural curiosity that God has wired into all of us. You’ll be glad you invested and took the time to make explorers who love to try new things. What better time to make adventurous memories than summer? 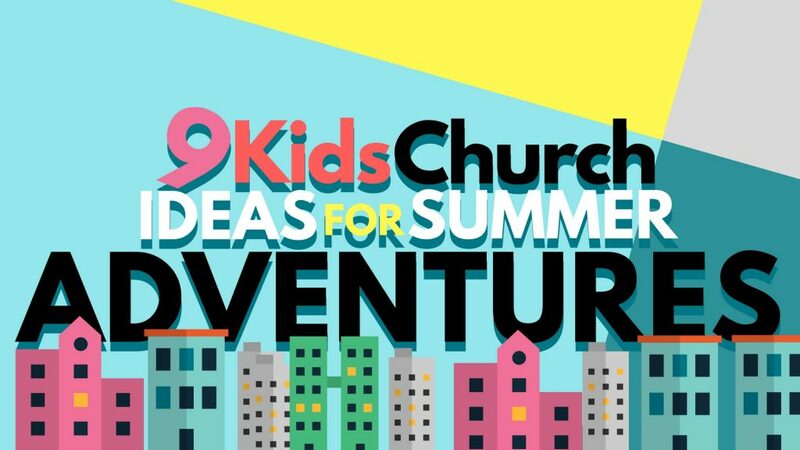 Here are a few easy ways to incorporate meaningful exploring and adventure into kids church, to combine discipleship with summer fun! Choose a time period from the past and immerse the kids in sights and sounds from that period, incorporating a couple of stories of men, women or children who lived boldly for God in that era. Find clothing from the 50’s or 60’s, inviting a fun grandma or grandpa from the same city/town as the church to share a couple of kid-friendly stories about what it was like for them to go to kids church during that time. This one is for any young readers in your ministry! Ask a few kids that enjoy reading to read about a Christian man or woman from history and/or the Bible and then briefly interview them for a few minutes at the beginning of service like a talk show about that person. This will not only encourage them to learn on their own but will also be engaging for the other kids to hear these stories from friends closer to their own age. We can learn so much from people of different cultures, so finding adventures that train kids to be open to people and experiences that are different from them can benefit them at church and beyond! Find some foods from other cultures that are very different from what the kids are probably used to eating. Set up a table at kids church and have a few kids participate in “Will You Try It?” where they try various foods that may seem odd! Invite the children’s ministry leaders from a neighboring church that is predominantly of another culture to co-host a kids’ event with your ministry, inviting their church’s families along. It could be a back-to-school barbecue, a summer outing, or a Sunday service. It’s a great way to not only share resources but also build bridges in the community. Find a large map and play, “Can You Find…?” Each month can have a prayer focus for a particular continent or region. Before prayer each week, you can take a few minutes to have a volunteer see if they can identify countries in that region as you say them. Each meeting could include a focus on a specific country in the region, connecting kids with parts of the globe that are very far away from them, but still close to God’s heart. Chances are, there are many different gifts and abilities represented in your church, and many different kinds of creativity. Here are a few ways to incorporate adults that work in kids’ ministry and other parts of the church to foster bold creativity in the kids. Host a community “Creativity Day Camp” for a few days (or even just one day!) where kids will be able to try out different creative tools. Invite adults and young people from the church to volunteer to teach kids pottery, dancing, various instruments, drawing, songwriting, coding, singing, painting, woodworking, photography, or any other gifts that are represented in your church. Kids can sign up in advance for which class they would like to take and pay a small fee if needed. Make a piece of kid-community art. Perhaps the kids have just finished school or will be marking another milestone soon. You can explore creativity by working together to make a piece of art that will remind everyone of a particular event or holiday. The kids can all press their thumbprint or decorate hearts to piece together into a mosaic, or each draw something they like on a canvas. Though this can be as simple or as complicated as you like, it can take some creativity to organize a project like this. However, it is worth the time when the kids are able to see something they accomplished together. You can even make something with a nearby elderly care home or other group in mind to encourage them. During downtime for older kids or before Sunday School, create a “Summer Invention Corner”, where students can tinker with miscellaneous items simply to see what they can create or invent. (Of course, discernment is important in determining what kinds of items the kids can handle.) This invention corner can show children that they can worship Jesus by using the mind he’s given them to invent and create, even if it doesn’t seem directly church-related or “spiritual”. And while they are at school and home, they’ll know they can worship him in everything they do! Researchers have identified certain skills that caregivers can help develop in their children to improve their school readiness. Generally these skills are based around the broad areas of social and emotional development, physical development and well-being, approaches to learning, communication, and cognition (thinking) and general knowledge. Each of these areas contain multiple skills that children need to develop to be effective learners. Let’s look at how you can foster 7 of those skills (of course there are many, many more) using music. Music has the power to change one’s life! Are you skeptical of that? Let’s look at some research and some of our own experiences to test the truth of that statement. I and a few composer friends decided we’d make our songs available to you because we believe you appreciate wholesome lyrics, fun tunes, and a huge variety of topics. When my daughters were young, I was always looking for songs to help them grow in character. In fact, as a parent, I had my own kids in mind when I wrote many of these songs. My daughters have grown into amazing women, and the messages they learned as kids are still with them. Music is a life-long discipler. So, enter a word or phrase in the search bar above and get started finding songs for your kids to grow on!